Did you know the Smallest Chapel in Europe is in Ireland? 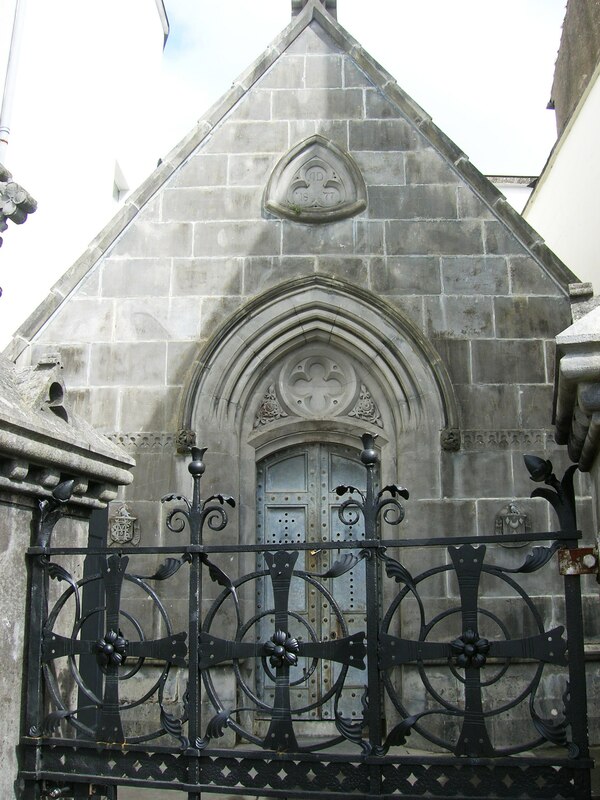 The Costello Memorial Chapel is the smallest chapel in Europe and the 2nd smallest chapel in the world. It is sixteen feet long, 12 feet wide and 30 feet high. Each side of the aisle holds a coffin lined with lead and covered with slabs of thick reinforced glass. The remains of Josephine (1889) and of Edwards who died in 1891 are both interred in this beautiful memorial. I stopped by a few weekends ago and got this photograph to share with you, so next time your in County Leitrim watch out for it, if you blink you might miss it!! It would be cute if it wasn’t so sad. And he followed so soon after her.